Are you a creature of habit? Are you comforted by a reliable routine? Are you thrown into a tizzy when you are forced out of your comfort zone by change? Change: that magnificent entity that differentiates between the old and the new, the familiar and the unfamiliar. Depending on our point of view, change can mean different things to different people. For many, it is seen as something scary and unwanted, something to resist at all costs. Something BAD. Is it like that for you? Growing up, I never did well with change. Change made me nervous and I always needed a lot of time to adjust to changes in my life until I became comfortable with them. It’s true. When you really think about it, everyone and everything is constantly evolving. Imagine if a caterpillar resisted its evolution into a butterfly because it didn’t know what to expect and if it would like its new self? 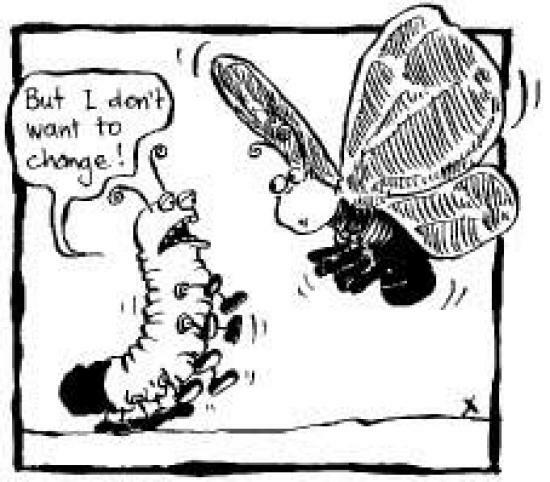 I think we can all agree that the change the caterpillar experiences results in a betterment of its situation, right? 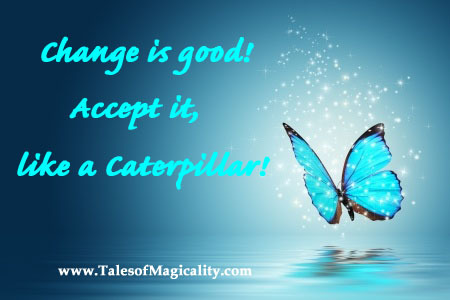 So, why can’t we all imagine ourselves as caterpillars every time change comes our way? Change is inevitable anyway so why not picture it resulting in something beautiful, like a free-spirited butterfly? So, when you find yourself face to face with a change in your path, or any unknown for that matter, don’t allow your Magicality Magnet to flip by expecting the worst. Have faith in knowing that change is a part of life and believe that change has appeared in your life for a reason, a GOOD reason. 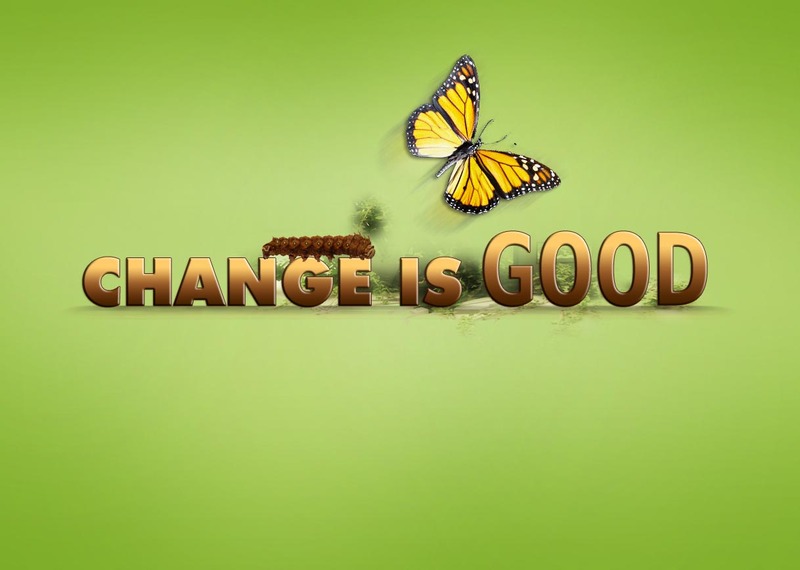 Every change is there to cradle you as you transform into the new you, a happier you, living in a better situation. Here’s to spreading our wings and soaring on the winds of change!